The patient was refusing all treatment. Diagnosed with Guillain-Barre syndrome, he was completely paralyzed from the neck down. In the hospital, he was depressed and had stopped communicating with his caregivers. In a desperate attempt to reach him, his medical team sent out a consult to a psychiatrist. She then did something nobody else on the team had done: she directly asked how he felt about the care he was receiving. The patient immediately responded with an angry outburst detailing how he had been disrespected throughout his treatment. Thus began a productive engagement that transformed the patient experience and led to a positive therapeutic outcome. Good medicine, now more than ever, relies upon a physician’s ability to connect with his or her patient in a real and dynamic way. “Soft skills” – a combination of interpersonal abilities and emotional intelligence – lie at the heart of a successful doctor-patient relationship. In order to provide excellent care to patients, doctors need more than clinical knowledge and technical skills. A growing body of research is showing that soft skills such as communication, empathy, and teamwork are necessary for producing the most positive patient outcomes. Patient satisfaction has become an increasingly key issue for healthcare providers and hospital leaders alike. A major driving force for this is the release of the Hospital Consumer Assessment of Healthcare Providers and Systems (HCAHPS), a patient satisfaction survey required for all US hospitals by the Centers for Medicare and Medicaid Services (CMS). The survey scores patient satisfaction as a basis for which to reward hospitals or withhold financial reimbursement. Research reveals that patient satisfaction hinges on doctors’ ability to establish a good rapport with patients, particularly during direct contact with one another. The medical interview between a doctor and a patient often sets the tone for the rest of their therapeutic alliance. When doctors communicate well with their patients during the medical interview – when patients are encouraged to ask questions and participate in their own care – the result is an increase in patient satisfaction. 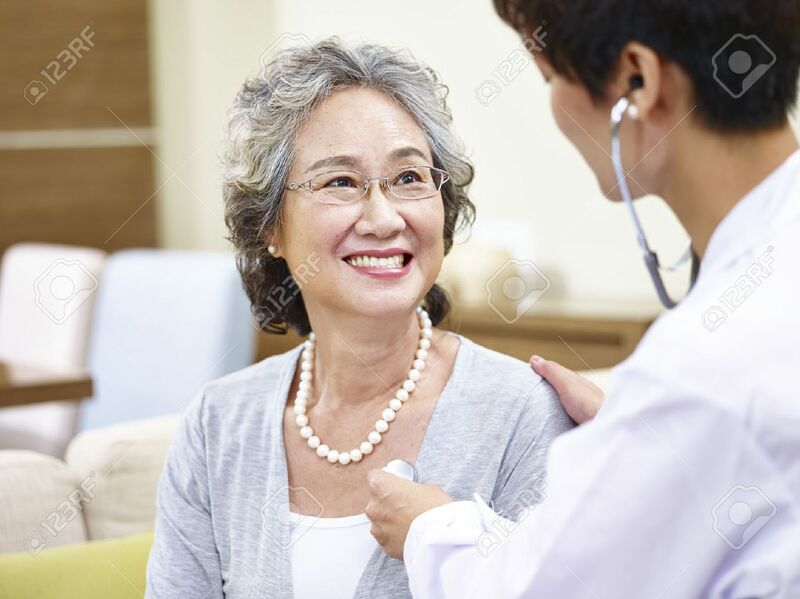 In addition, patients who like or trust their doctors not only report a higher satisfaction with their medical care overall, they also disclose more detailed information about their medical condition. On the flip side, greater patient dissatisfaction can be gauged by measures such as the number of malpractice claims filed against physicians. One JAMA study showed that physicians who received 2 or more lifetime malpractice claims communicated significantly less with patients than physicians who had never received a malpractice claim. Doctors who communicated less tended to have shorter patient visit times and used less statements of facilitation (i.e. informing patients about what to expect and the flow of a visit), less solicitation of patients’ opinions, and less checking of patients’ understanding. Moreover, the “claim” physicians tended to use humor less often than the “no-claim” physicians. As many in the medical community are learning, interpersonal skills are essential to patient satisfaction and result in a thriving doctor-patient relationship. For doctors, what is even more compelling about soft skills is that they are linked to tangible improvement in their patients’ health. When patients are treated by physicians with greater levels of empathy, studies have demonstrated decreases in illness severity and duration and reductions in acute complications. Doctors with soft skills are able to have this effect due to several reasons, such as patients’ inclination to share important medical information, patient compliance with treatment plans, and patient understanding of what’s happening. Furthermore, the benefits of soft skills extend to patients’ motivation to take control of their own health. A 2011 study on diabetic patients confirmed that the patients of doctors who had high empathy scores had better control of their hemoglobin A1c as well as LDL-C levels. These indicators show an increase in patients’ willingness to participate in their own health – a goal that all doctors strive for in their work. While it is tempting to focus on improving relations with patients as the top priority, building effectiveness in inter-professional interactions should not take a back seat. Good or poor patient experience and outcomes may very well find their root cause in good or poor inter-professional relations. For example, a study of emergency room outcomes concluded that 8 of 12 deaths and 5 of 8 major permanent impairments could have been prevented if appropriate teamwork actions had been taken. A 2016 study found that focusing on team building helps to create a dynamic that produces better results, including fewer emergency room visits, fewer readmissions, and lower mortality. Physicians’ inter-professional abilities are very much linked to a safer, happier, and more efficient workplace. Communication, empathy, and team leadership are some of the key factors needed in healthcare today. Data show that strong medical knowledge and good clinical ability can be augmented by superior interpersonal skills. Doctors and healthcare leaders are actively working to improve the levels of soft skill proficiency in medicine everywhere. The Accreditation Council for Graduate Medical Education (ACGME) now requires that medical residents obtain competencies such as Interpersonal Skills, Communication, Professionalism, and Patient Care. These criteria are now a requirement for completing residency training and obtaining medical licensure. In addition, the Medical College Admission Test (MCAT) has been revised to include a new section which involves the behavioral, social, and psychological elements of healthcare. A path to better outcomes and patient experience can be traced by how much attention physicians pay to cultivating these “soft” yet crucial skills.